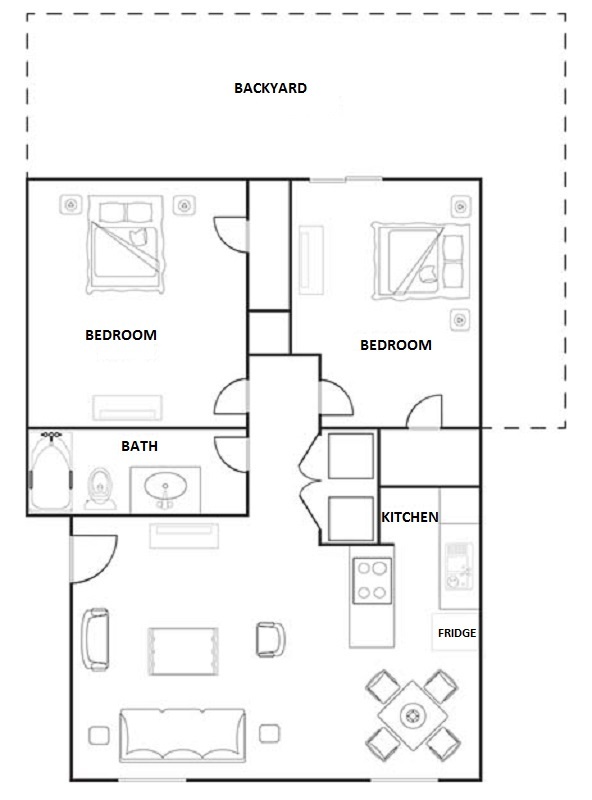 At Hunters Point Apartments, we offer three unique and spacious floor plans. Our apartment homes feature one and two bedrooms, and the varying square footage and rent payments accommodate any lifestyle! Each home features a kitchen, a living room, a dining area, and the corresponding number of bathrooms and bedrooms. 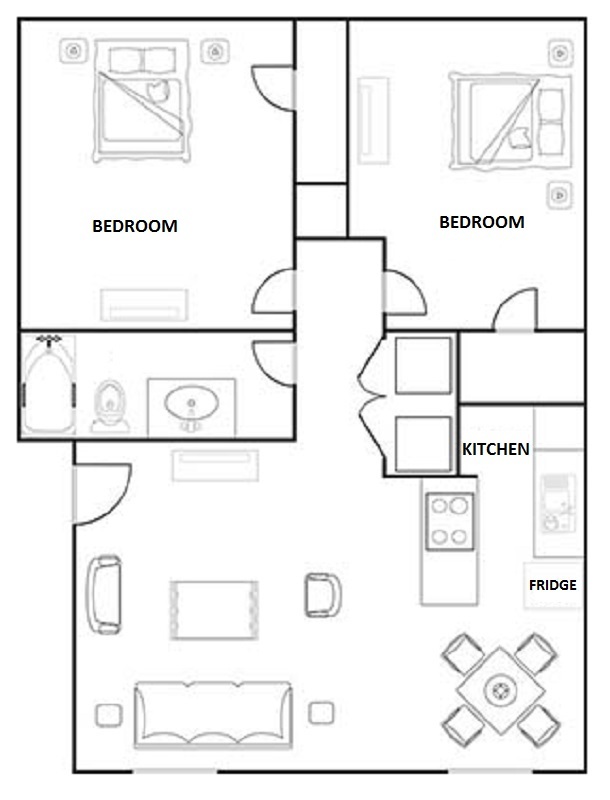 Endless amenities are at your fingertips with our fully equipped kitchens and expansive closets. Select home even feature private, fenced-in backyards! Our community serves as an extended floor plan, which boasts every possible luxury from a sparkling outdoor swimming pool to a convenient on-site laundry facility. Residents will also enjoy some paid utilities, prompt and professional management, and on-site maintenance. 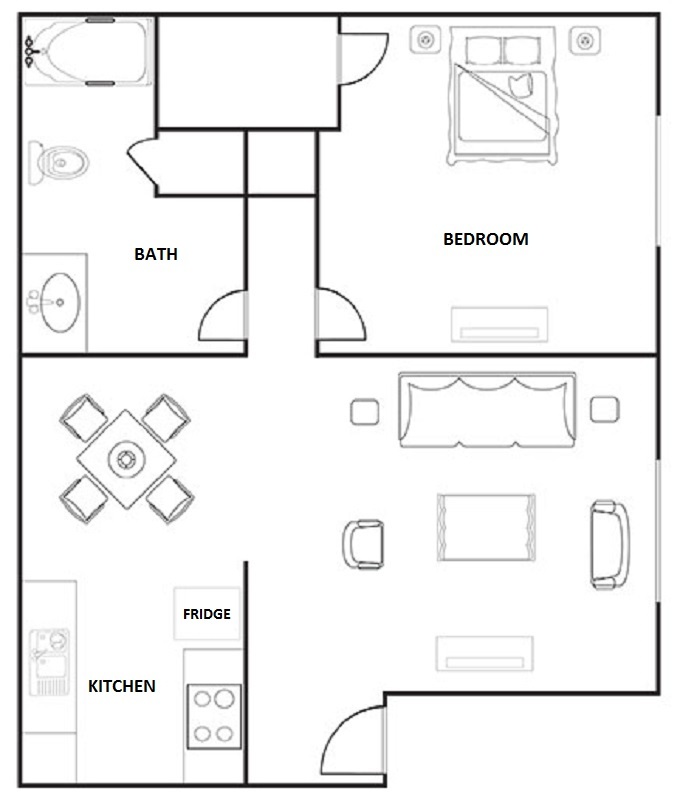 Visit Hunters Point Apartments today, and discover the comfort and convenience of our individual apartment floor plans.